Note: We have been sending issues of KaleidoScope to our Alumni Association members since 2006. However, we will terminate this service beginning with the July 2013 issue. 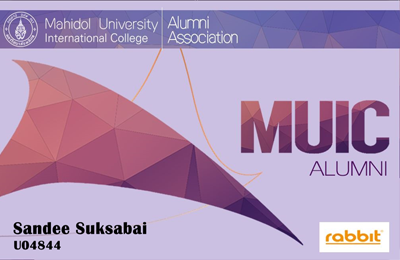 Instead, all Alumni Association members will have access to the newsletter on both the Association and MUIC websites. This new policy was prompted by suggestions from a number of our alumni. Most importantly, members have access to the Association’s resources in order to re-connect with former acquaintances, friends and colleagues.